WASHINGTON — Pro-trade lawmakers from Donald Trump's party are looking outside Washington, pleading for help convincing the president not to make any moves that might blow up the North American Free Trade Agreement. They're concerned about a decision the president will face early next year: whether to make good on his threat to begin the withdrawal process as a trade gambit, which they fear could unleash unpredictable economic and political consequences across the continent. They're asking powerful Americans to raise their voices. One Republican lawmaker told a gathering Tuesday that he believes the decision will ultimately come down to three people: Trump, Commerce Secretary Wilbur Ross, and trade czar Robert Lighthizer. Will Hurd said he suspects there's only one type of person that would carry any influence with this group — a powerful cohort he said has been disengaged and in denial about the real threat to NAFTA. He's calling on Wall Street to step up. "I think there's one thing that would influence those three people that are going to make this decision. And that's the markets," said Hurd, a former CIA agent who's now a congressman from a massive district that spans two times zones along the Texas-Mexico border. "I just came back from New York City, talking to a lot of folks in high finance. None of them think there's a problem. And everybody thinks NAFTA 2.0 is gonna get signed." He said the markets tend to lag a few months behind political threats and, in this case, might end up responding too late, as it's now lulled into a false sense of security by the lucrative corporate tax cuts Congress is poised to adopt. An executive from a major car company was at the conference — she said her industry has tried raising concerns but the administration won't listen: "We're having a hard time being heard by those three people," she said. "I don't think anything we say is resonating." The Trump administration surprised Canada and Mexico, and American industry, with some aggressive demands at recent negotiating rounds including a requirement that assembly lines be immediately revamped so that every car consists of parts half-produced in the U.S. The U.S. tabled other unconventional proposals _ such as a sunset clause that would automatically kill NAFTA after five years, unless every country renews it. 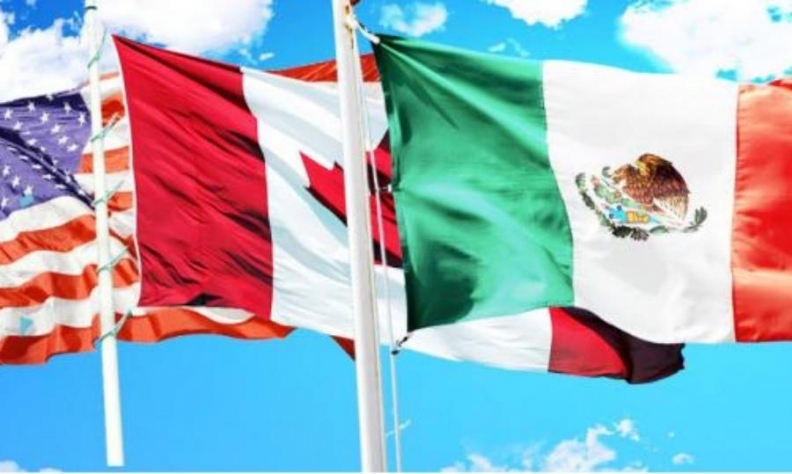 The United States has signalled that could be negotiable, and Canada and Mexico have said they're willing to create a less aggressive review mechanism. Hurd said he's convinced some of these are opening gambits, subject to change. He said he's seen the White House negotiating style, having dealt it on other files. Of the car and sunset proposals he said: "All of that is an opening negotiation," while adding that he's not sure it will move enough to get a deal. One of his Republican colleagues also expressed concern Tuesday. "This is not a time to simply sit back and listen," Pat Roberts, a Republican senator from Kansas and chair of the Senate agriculture committee, told the Washington International Trade Association. He said he's raised a key concern several times with Trump — that a shock move, like triggering NAFTA's Article 2205, would have a numbing effect on farming states like his. He said customers in Mexico would instantly start seeking non-U.S. suppliers, in preparation for the possibility of the U.S. actually leaving NAFTA, which it would be allowed to do, six months after invoking Article 2205. He said he opened a recent discussion with Trump by stressing that farming states have made gains from NAFTA and they supported him in the election _ that his election win wasn't due solely to states that have bled manufacturing jobs. "For goodness sake don't start the clock on termination. That sends a lot of signals we just don't need to be sending," Roberts said. "We do that and we're gonna see economic shivers all up and down the food chain." He said the president was pleasant, personable, and took notes, but isn't sure whether he was swayed by those pleas: "Was there any real progress made? I hope so." A report Tuesday in Inside U.S. Trade said another contingent from outside Washington is planning to make a pilgrimage to the White House to arm-twist Trump on trade: Republican state governors. Roberts welcomed the news. The more voices, the better, he said.